To place or receive calls using Voice-over-IP technology, you need a hardware setup that will allow you to speak and listen. You might need simply a headset with your PC or a complete set of network equipment including routers and phone adapters. We've prepared a list of the equipment that is normally required for VoIP, but you won't need everything we mention. What you need depends on what you use and how you use it. We have omitted devices like computers, sound cards, and modems, assuming that you already have those because you're using PC-based telephony. An analog telephone adapter acts as a hardware interface between an analog PSTN telephone system and a digital VoIP line. You don’t need an ATA if you are using PC-to-PC VoIP, but you will use it if you sign up for a monthly VoIP service to be deployed at home or in your office, and if you intend to use your existing phones. Check out our list of the Top 4 ATAs to help inform your shopping list. PSTN — the packet-switched telephone network — uses analog signals over copper or fiber-optic cable. Voice-over-IP technology sends digital signals through the internet. The approaches function similarly, but the underlying architecture is very different. 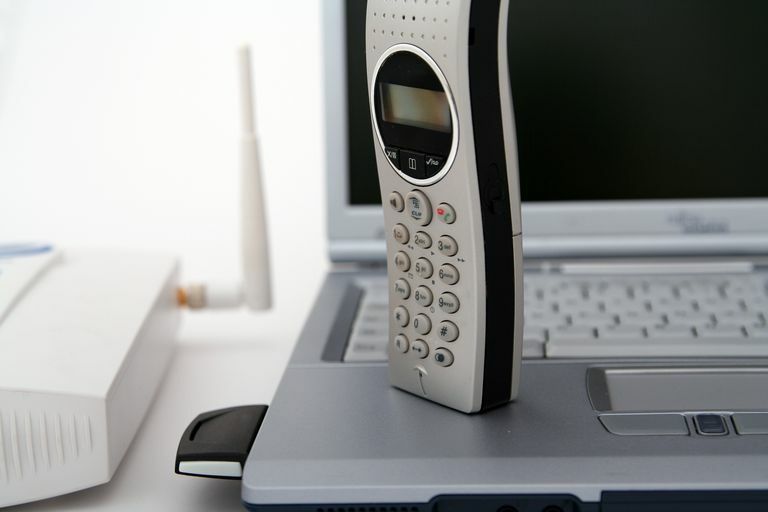 The phone set is essential for VoIP — it's both an input and an output device. Several types of phones can be used with VoIP, depending on the circumstances, your needs, and your choice. Although you can use an analog phone designed for PSTN networks, you might find more value in a dedicated VoIP phone or even a non-hardware softphone app. Handsets resemble telephones but they connect to your computer through USB or a sound card. They work together with a softphone allowing you to use VoIP more comfortably. They can also be plugged into an IP phone to allow many users using the same phone. These devices are rarer than they used to be; most people now either use a PC headset or an ATA with a desk phone to communicate using VoIP. A PC headset is a very common multimedia device which allows you to hear audio from your computer and input your voice by using a microphone. Check out our list of the best USB headsets and the best Bluetooth headsets, to help you pick the right device for you.